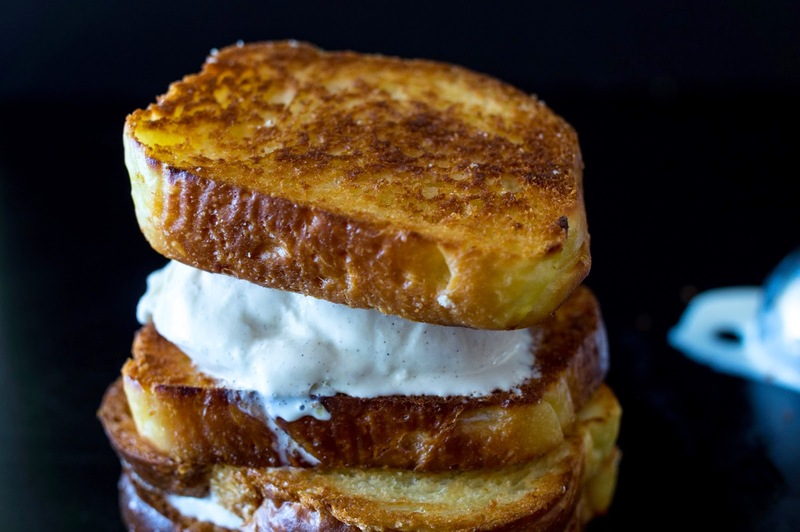 This is the ice cream sandwich that will change your life. 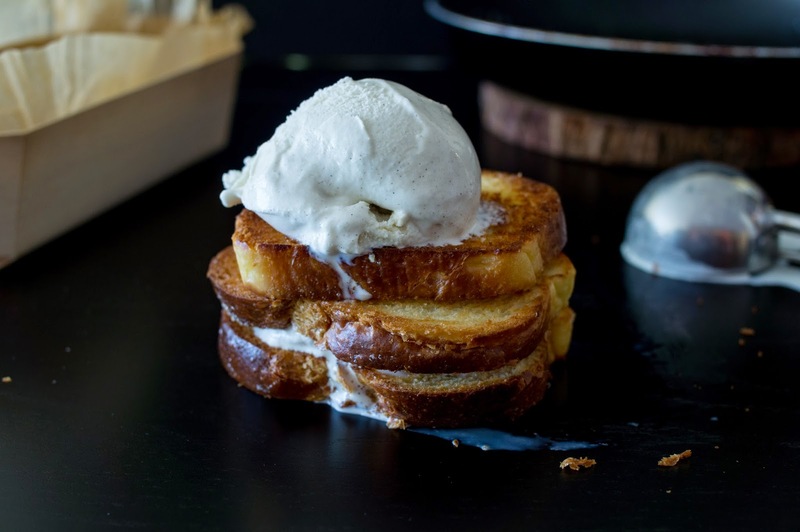 Warm, golden-brown, buttery, fried brioche hits cold, sweet, vanilla ice cream. This is so easy to make. Too easy. Seriously, go fry some bread, I’ll wait. And when you take that first melty, dripping, sweet and crunchy bite, you’ll understand. Melt half the butter in a large, non-stick frying pan. 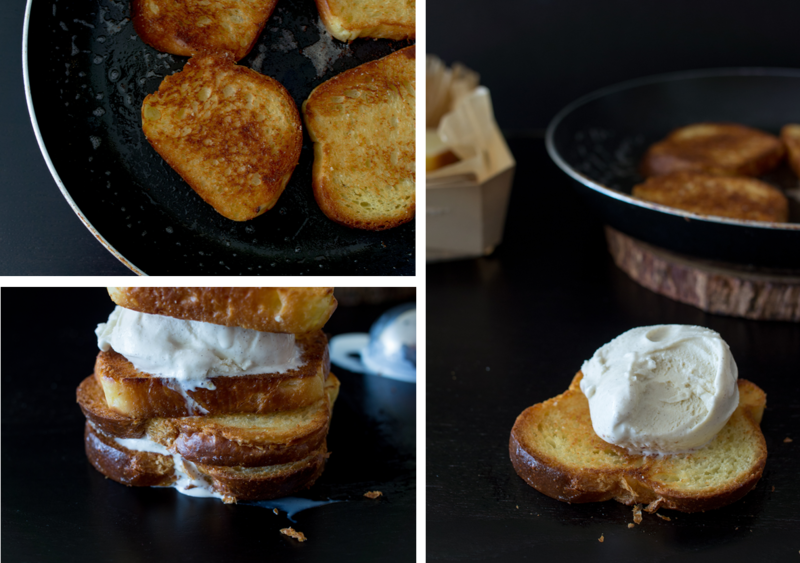 Fry the brioche on one side until golden brown. Remove from pan and add the rest of the butter. Fry the other side of the brioche. 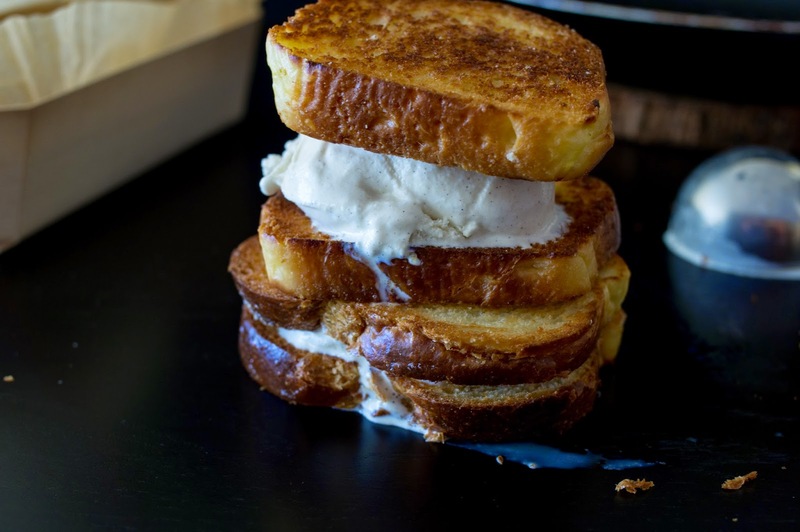 Sandwich a big scoop of vanilla ice cream between the two slices of fried brioche. 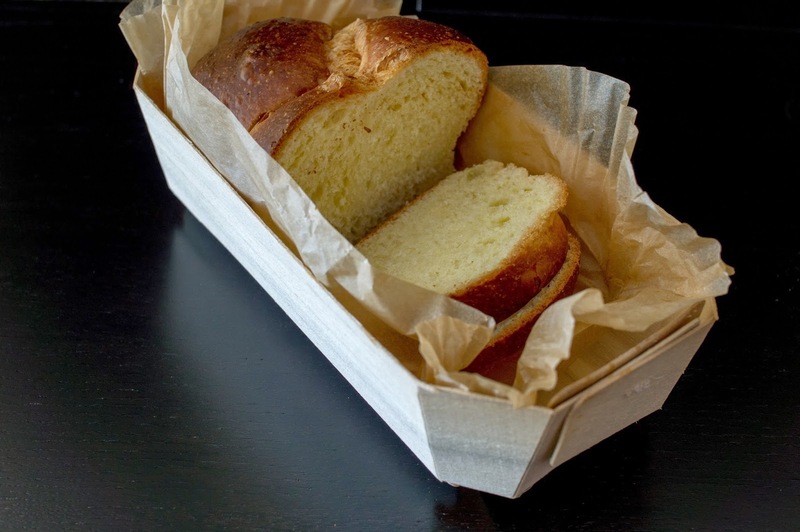 Eat immediately with lots of napkins.